Trained with the Hart family. ↑ 1.0 1.1 1.2 1.3 1.4 1.5 1.6 "WWE profile". ↑ 2.0 2.1 2.2 2.3 2.4 Shields, Brian; Sullivan, Kevin (2009). WWE Encyclopedia. DK. p. 44. ISBN 978-0-7566-4190-0. ↑ "Brian Pillman: Facts". WrestlingData.com. ↑ "Son of Brian Pillman making own legacy". Archived from the original on 25 September 2013. ↑ Copeland, Adam (2004). Adam Copeland on Edge. WWE Books. p. 28. ISBN 978-1-4165-1130-4. ↑ "Brian Pillman's first WCW Light Heavyweight Championship reign". Archived from the original on 2015-09-09. ↑ "Brian Pillman's second WCW Light Heavyweight Championship reign". Archived from the original on 2015-09-09. ↑ "NWA United States Tag Team Championship history". ↑ "PWI Ratings for Brian Pillman". profightdb.com. The Internet Wrestling Database. ↑ "Pro Wrestling Illustrated's Top 500 Wrestlers of the PWI Years". Wrestling Information Archive. Archived from the original on 2011-07-07. สืบค้นเมื่อ 2010-09-15. ↑ "SW International Tag Team Championship history". Archived from the original on 2008-05-05. 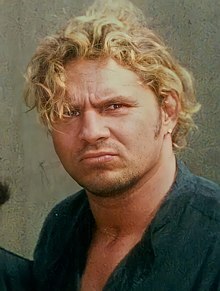 ↑ "Wrestle World - REVIEW: Review of Brian Pillman biography". www.pro-wrestling.com. สืบค้นเมื่อ 2018-01-28. หน้านี้แก้ไขล่าสุดเมื่อวันที่ 15 เมษายน 2561 เวลา 02:55 น.